The sun has finally come out to play the last couple of days and being a typical Brit I decided to dress like it was Summer, by wearing a very thin floaty skater style dress. However I didn't take into consideration of the strong wind that keeps picking up every now and then which could have left me very red faced on some occasions. 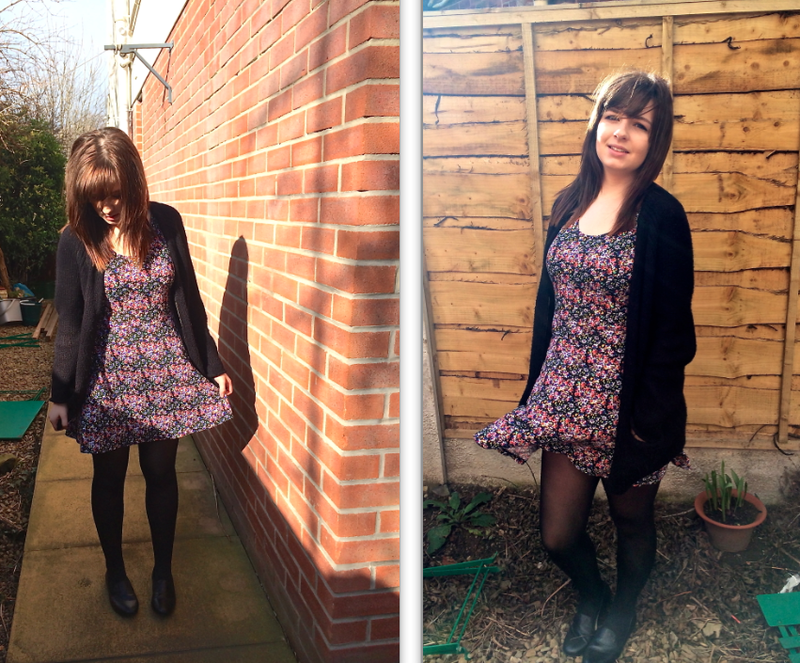 I decided to team it with some black 40 denier tights and my knitted cardigan to add that much needed warmth. 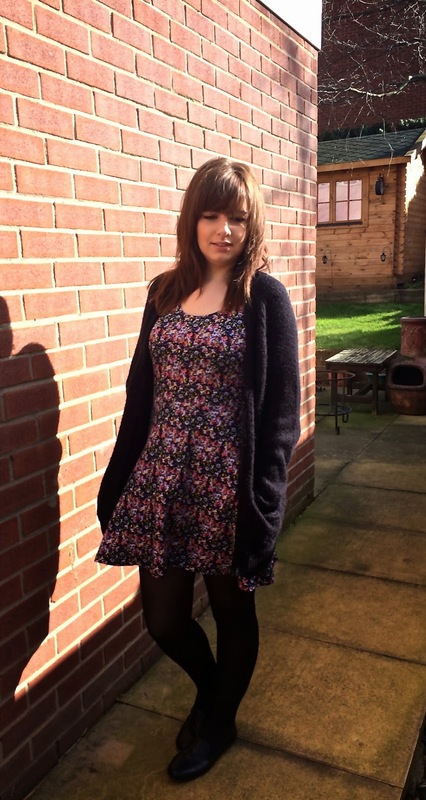 I love this dress, I don't tend to own any day dresses which is annoying when I want that odd girly outfit look. It was such a bargain at £5 from Primark and it comes in literally every colour and pattern you could imagine.